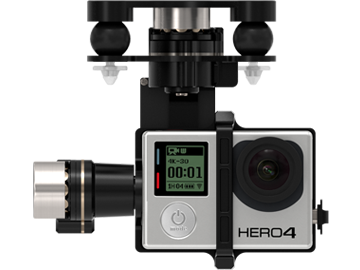 Fly with your new GoPro Hero4 Black camera by using this high-performance 3-axis gimbal. Giving your camera perfect stability in the air, no matter how you fly, this gimbal is based on DJI’s industry standard camera stabilization technology. Easy to use and setup, you can start flying today.